How to export table schema and data with Insert statements in SQL Server? In this example, have created Persons Table with the data. Will see how to export the table schema and data with insert statements. How to query CRM Global OptionSet Values in SQL? Step 1: Open Microsoft Dynamics CRM Online / On-premise. Click on Gear Icon on Top Right Corner. Click on Options. Step 3: Click on OK. In MS CRM OnPremises, Open Microsoft SQL Server Management Studio. Right Click on the required MSCRM Organization (OrganizationName_MSCRM) and click on New Query. Refresh CRM Page and open any Entity or Advanced Find to see the effect. Provide your valuable feedback on the article. 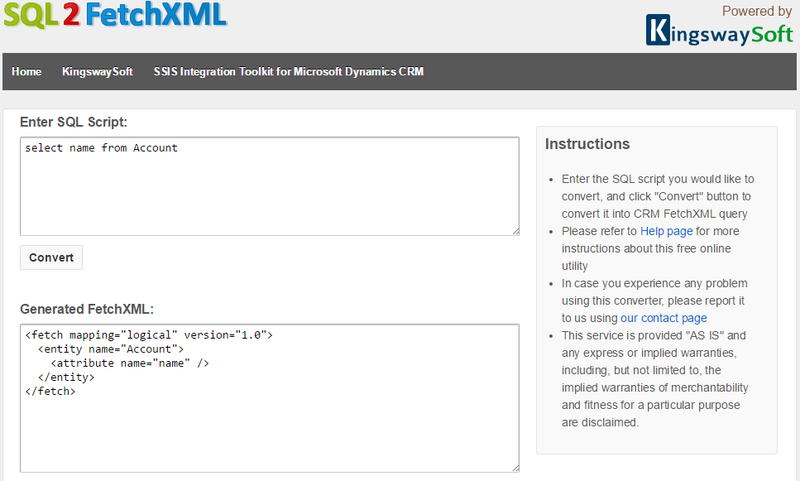 Found interesting Online Tool to convert SQL query to Microsoft Dynamics CRM FetchXML. Click here to have a look. It is not mandatory to have the same CRM Organization Name (On-Premises) with same Database Name in Sql Server. Please share your valuable feedback on this article.